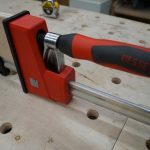 The NEW BESSEY K Body REVO Clamps feature some subtle but functional improvements to an already great product. 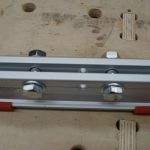 Improved operating jaw design means once you put it in place, it stays in place and is ready for clamping. 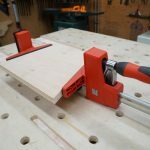 This makes it easier to set and adjust the clamps during glue ups. The internal clamp mechanism has a new friction resistant cup in the socket where the spindle is applied to the mechanism. A better engineered casting ADDS another 200 lbs. 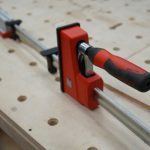 of clamping pressure to an already powerful clamp. The clamps can now reach 1700 lbs. of clamping pressure. 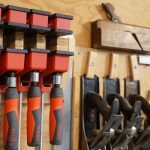 A newly-designed 2-part handle can receive a hex key or driver in its end to provide more clamping force if desired, want a faster clamping process, or just easier clamping for those who have issues with wrist strength. 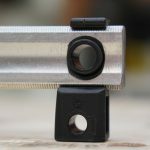 The REVO clamps come comes equipped with removable pressure caps for the clamping surfaces that are glue, paint, and solvent-resistant and help provide protection for delicate work-pieces. 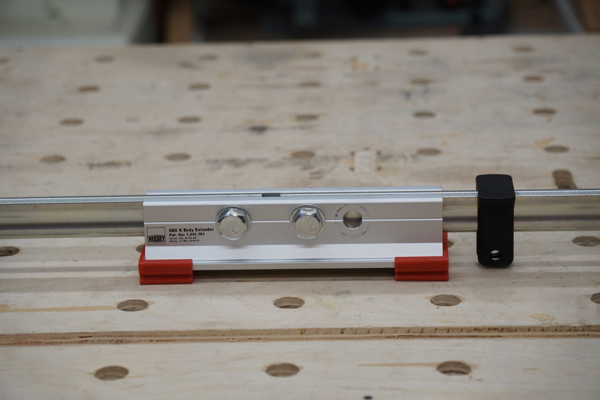 Two adjustable and removable work-piece supports on the bar prevent any contact between the bar and your project. 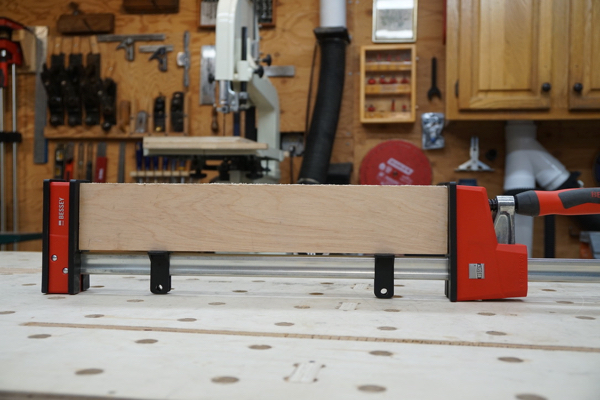 These work-piece supports or “rail protectors,” work great at keeping the clamped item off the clamp rails. A tail piece support helps keep the clamp level and all three of these supports feature a hole that fit an accessory table clamp [TK6]. 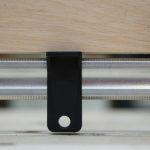 The table clamp holds the REVO clamp securely to a surface, creating a vice like situation. The adjustable head can be reversed, for spreading operations, to a minimum of 10-inches. Probably one of the most underappreciated, features of the REVO clamps is their ability to stay perfectly 90-degrees when under pressure. 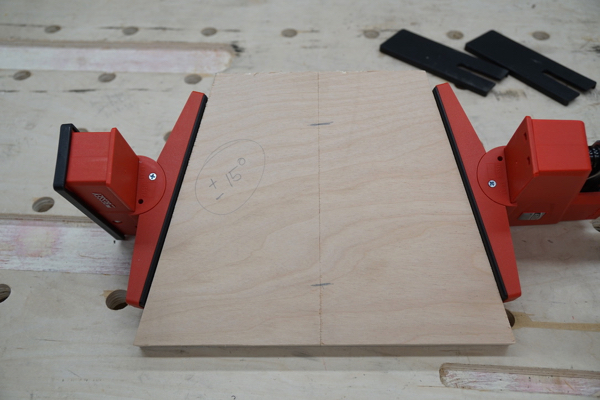 This is huge when your clamping items and are looking for that perfect glue joint. 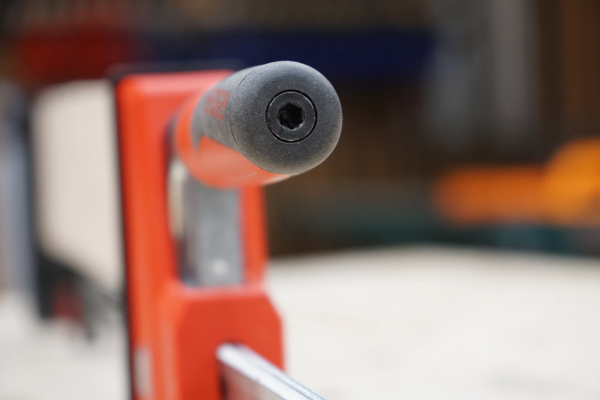 The REVO Extender is an optional accessory but acts as a coupler, allowing you to connect two clamps together for larger clamping operations. 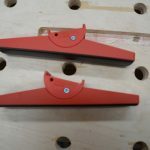 It is designed out of aluminum and has two bolts that pass thru the holes on the bottom of each Bessey clamp. 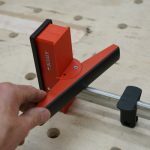 The tilting adapter, also optional, gives you a wide clamp and allows you to apply the clamps at a 15-degree angle [sloping or parallel surfaces] while keeping the clamp head in constant contact. 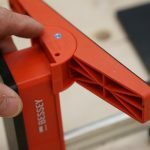 BESSEY Prod# Clamping Capacity Throat Depth Clamping ForceApprox. 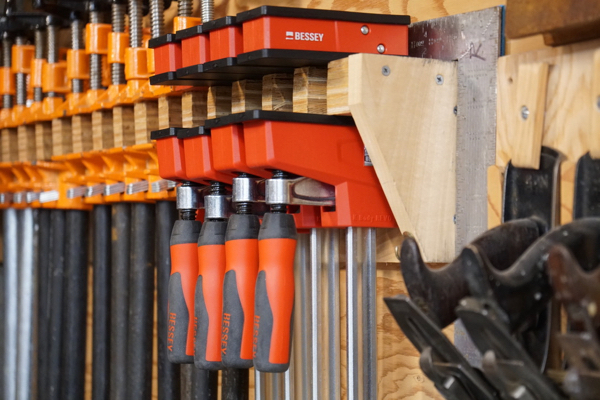 The recent upgrades to the BESSEY K Body REVO Clamps took an already excellent clamp and made it better. 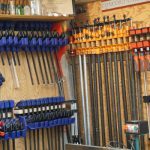 As the saying goes, “you can never have too many clamps.” Just make sure you get the good ones! 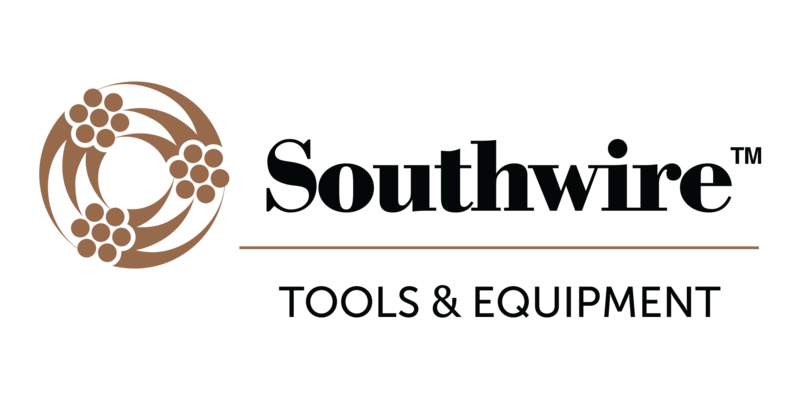 We liked that the jaw gripped the workpiece as soon turn the handle, it has a great grip and is easy to release. These clamps are not cheap but I feel you get what you pay for here. 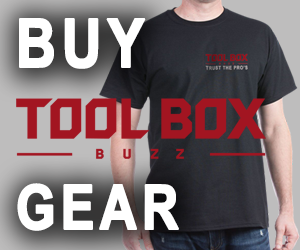 They are aninvestment into your shop and final product. 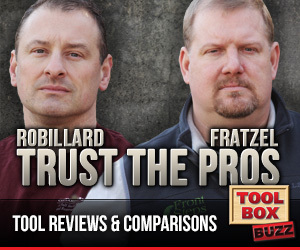 I have no doubt they will last you a lifetime.